Nolan worked his whole life to get there. Qualifying for the National Figure Skating Championships was the brass ring he had reached so desperately for - training incessantly, suffering agonizing injuries, heartbreaking losses, and eventually, his potentially life-altering qualification. But the night before he is set to take to the ice, his long-time lover shatters his heart - along with his concentration. The rising star suffers a wrenching defeat - only to find out soon thereafter that he's carrying the baby of his former paramour. Enter Matthew, the devastatingly attractive up-and-coming alpha figure skater. Matthew rolls into town and begins training alongside Nolan, and the two quickly begin to hunger for one another. 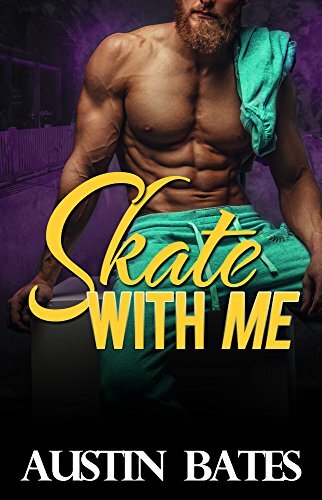 As their romance develops, Nolan makes a decision: he's keeping his baby, and quitting skating for good. But he neglects to tell Matthew about the baby until after they've slept together. When Matthew discovers the truth, the revelation proves too distracting; he leaves town to prepare alone for his upcoming regional competition. But for Matthew, the distance doesn't help - the beautiful omega is never far from his thoughts. When heartbreak and disappointment lead to unexpected passion, two men begin to discover that sometimes one road's end can lead to the beautiful beginning of another. Unbridled passion meets dogged determination in this 50,000 word gay mpreg alpha/omega romance novel. Gliding gracefully through choreographed scenes of uninhibited lust, “Skate With Me” is exclusively intended for adult audiences.